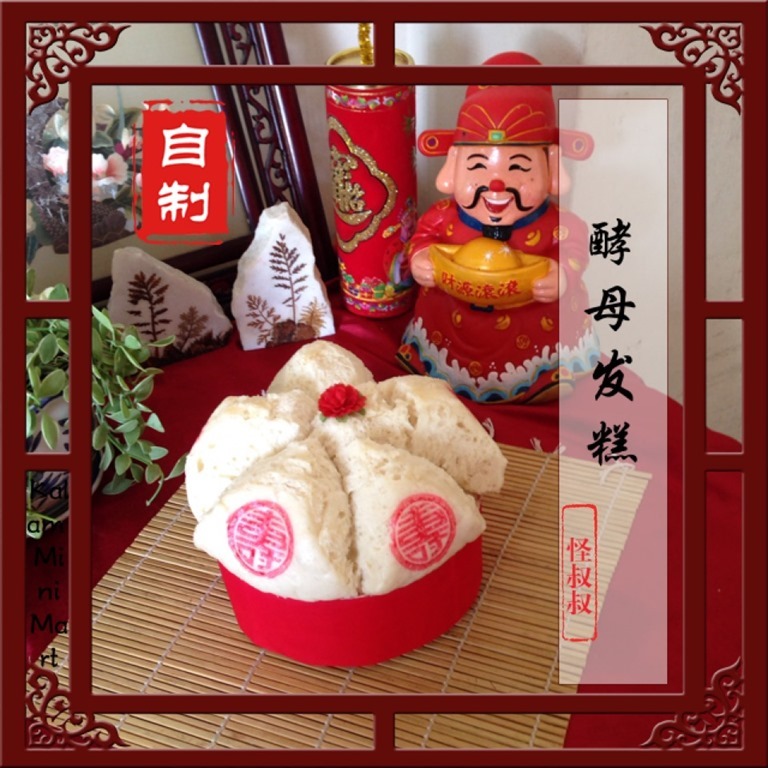 This is another Huat Kuih or Fatt Gou (发糕） recipe.. Chinese in general like huat kuih as it is used in religious praying and symbolizes prosperity.. 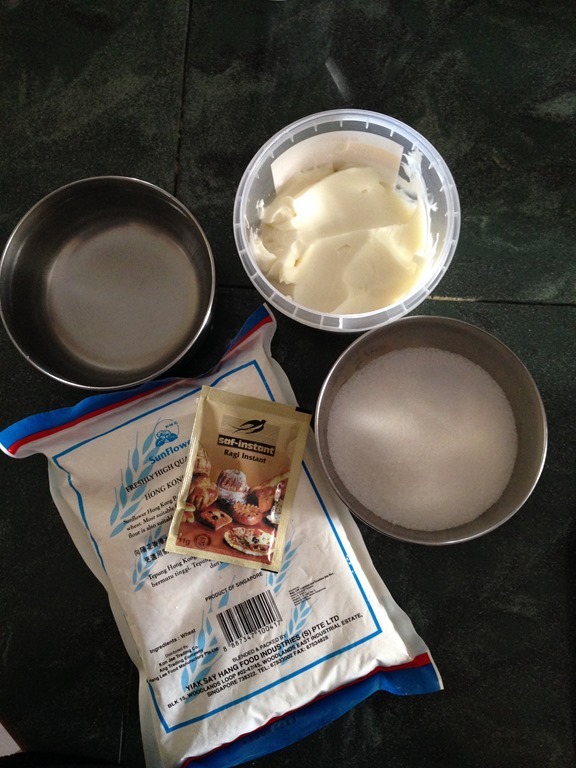 There are many Huat Kuih recipe and this is my 5th huat kuih recipe.. 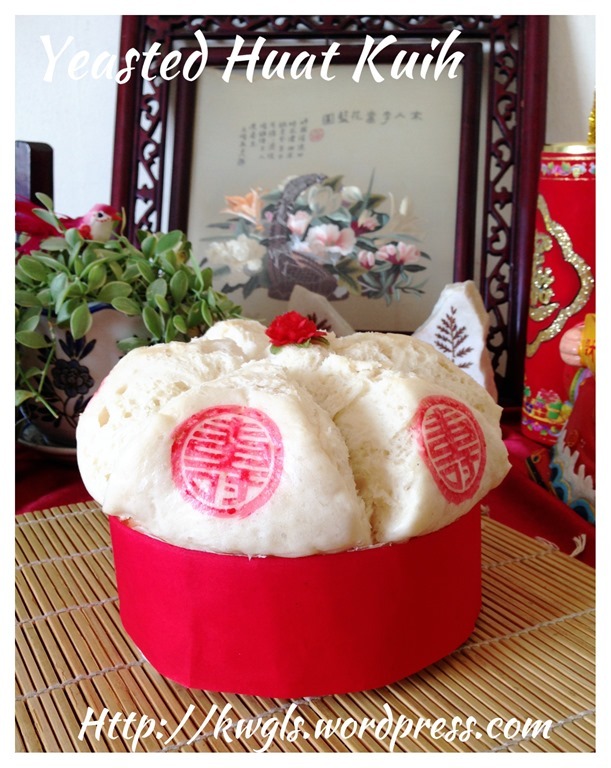 In general, huat kuih recipe have two main variable factors: type of leavening agent and type of flours .. 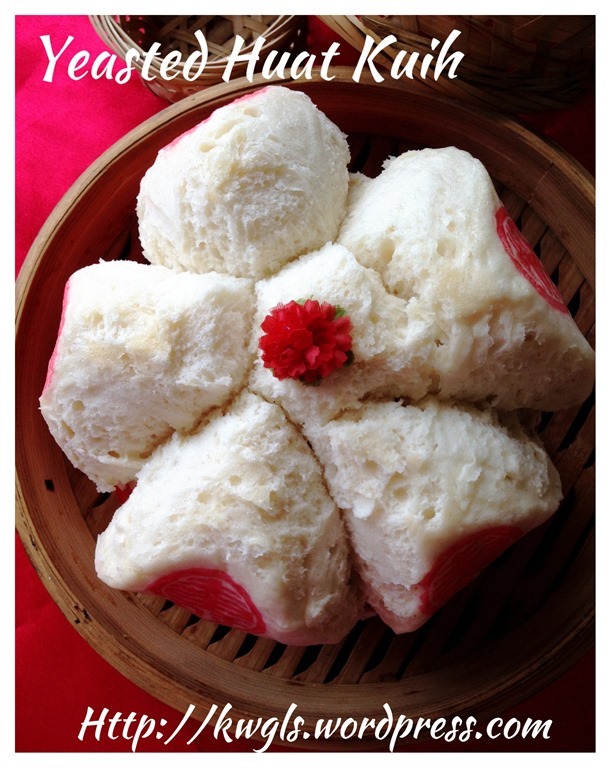 The leavener or rising agent is a type of agent that were used to make the huat kuih flourish or look like a flower.. It can be either yeast, baking powder, double acting powder, eggs or fruit salt (eno or sodium bicarbonate). The flour used is either plain flour, self raising flour, rice flour or a combination of both. With these many type of flours and leavening agents, it will therefore generate a lot of recipes..
One of the reasons that I surfed Facebook is to get inspiration of recipes.. I bumped into a very old recipe that uses yeast and plain flour. 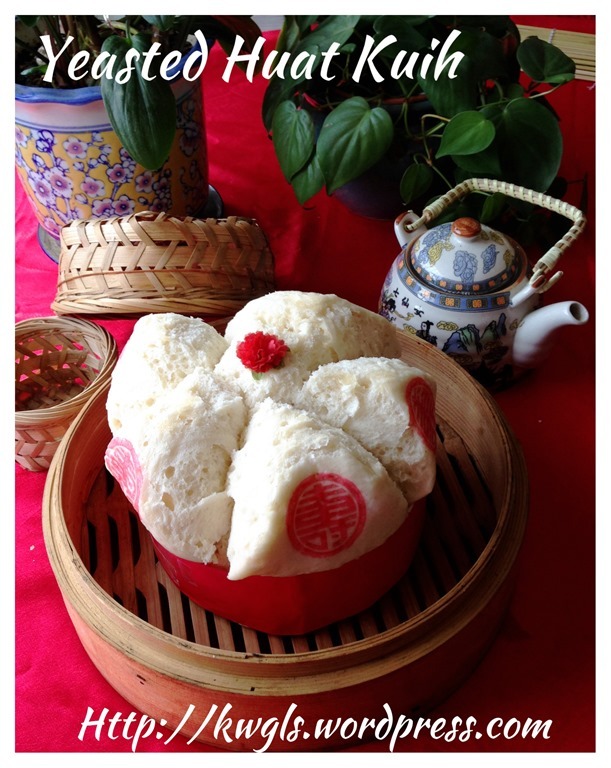 Further understanding of the recipe indicated that it is basically a steamed bread.. 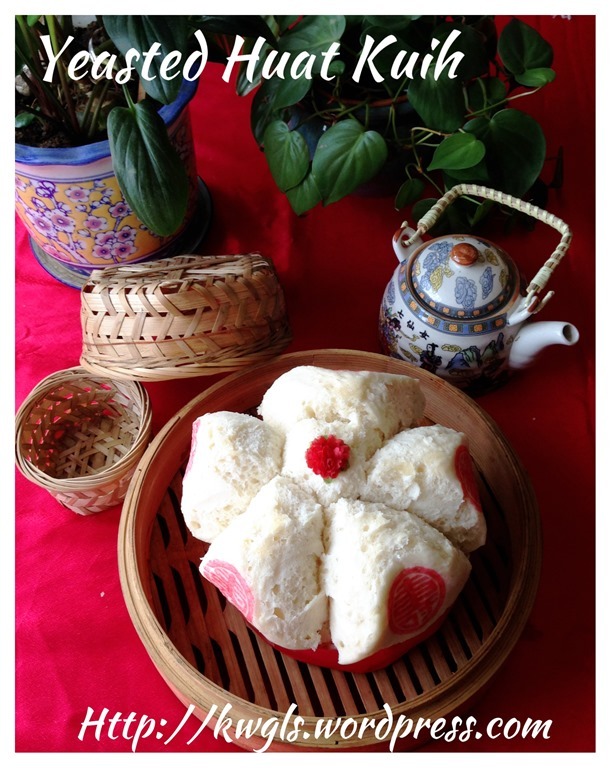 Yes, bread, the type of bread that we used to bake ..
Or in another perspective, it is a mantou in flower shape.. 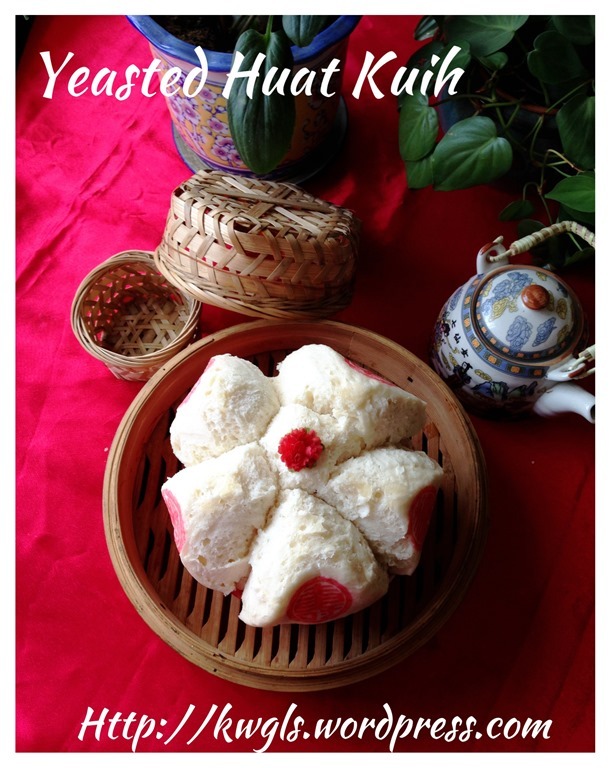 So for this recipe if you like mantou, you will like this huat kuih.. Immediately after I read the recipe, I have the urge to try. 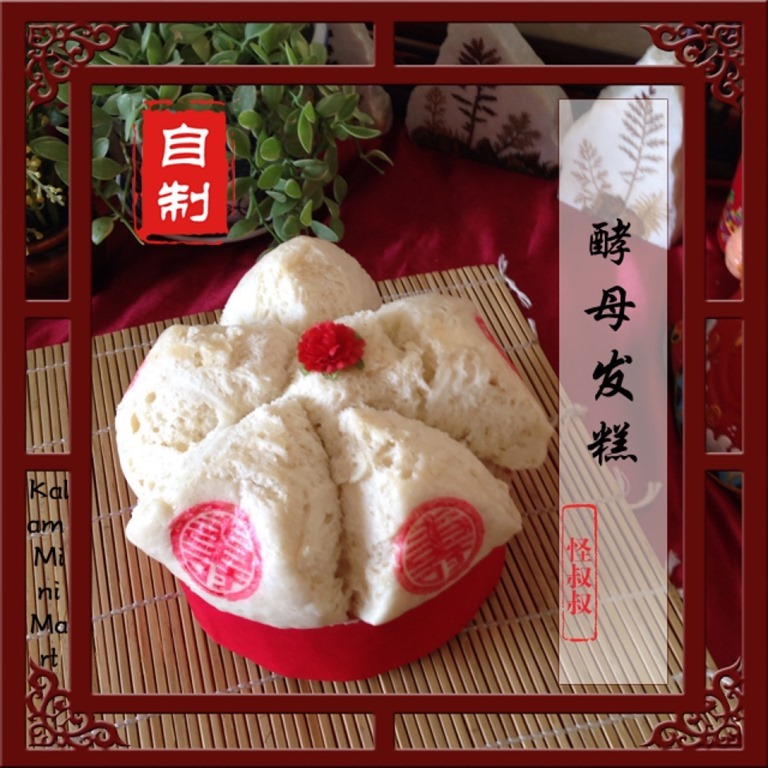 One is that I like mantou or yeasted bread. Secondly, the procedures seems easy and very logical. 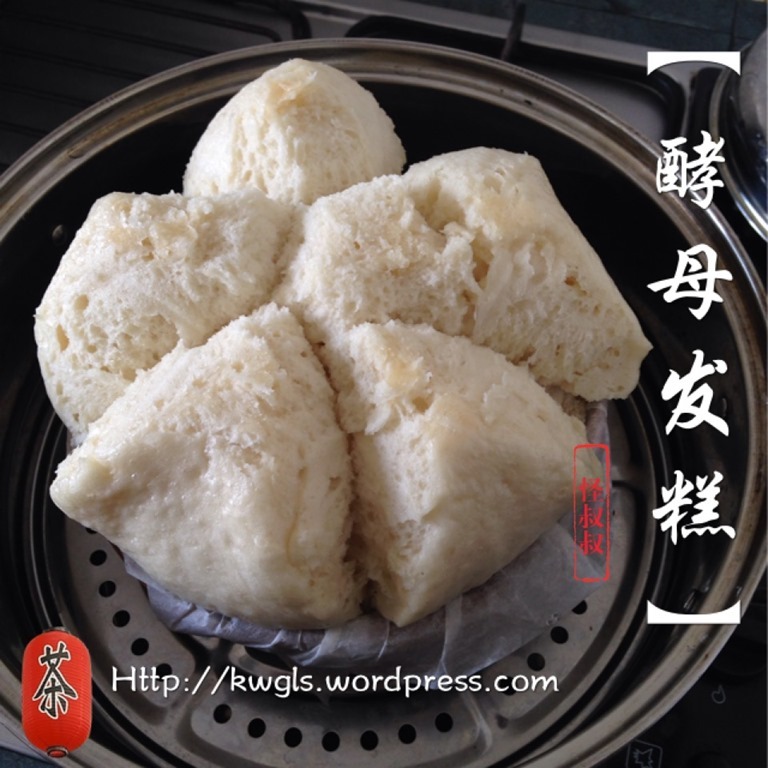 Since we can shape a baked bread, why can’t we shape a steamed bread into our desired pattern. 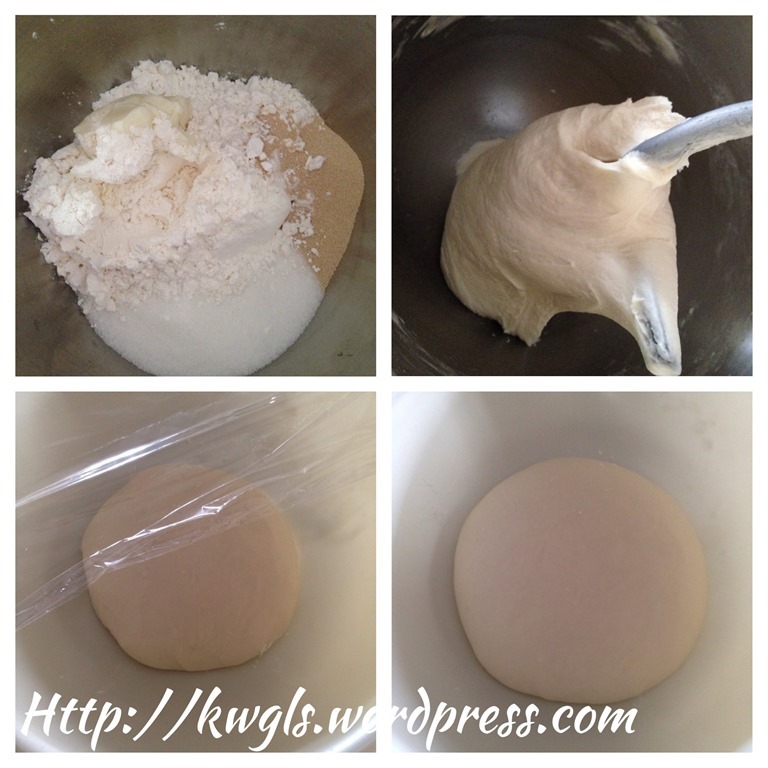 Thirdly, as it is a bread dough, it will likely to flourish depending on how we design unless the yeast is dead. Therefore, chances or succeed are great..I stepped into the kitchen and start my adventure and very happy to see the final outcome.. a beautifully crafted huat kuih.. Ha-ha. Put all the ingredients in a stand mixer bowl and use the knead function to knead until smooth and does not stick to the sides of the mixing bowl. It took me about 15 minutes to do this. Transfer out to a lightly floured surface, shape it round and let it proof until double the size. Proofing time will depend on the weather and it took me about 30 minutes. Meanwhile, line the bamboo basket with some baking paper. When the first proofing is done, punch the dough and lightly knead for 1-2 minutes. 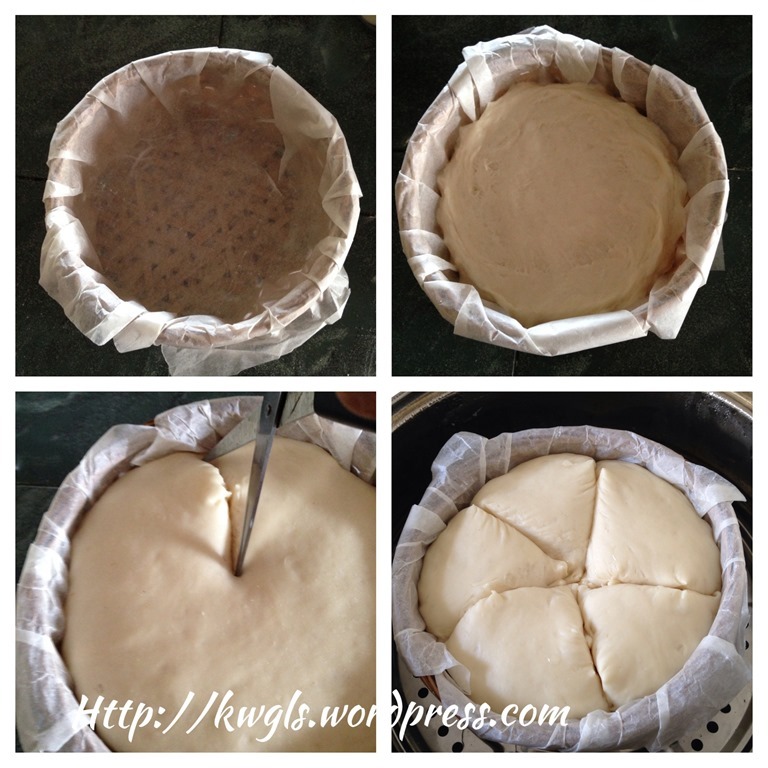 Shape round and transfer the dough to the lined basket. Ideally, the basket shall be about 75% full. Let it proof again until double in size or when it reaches 90% the height of the basket before send for steaming. 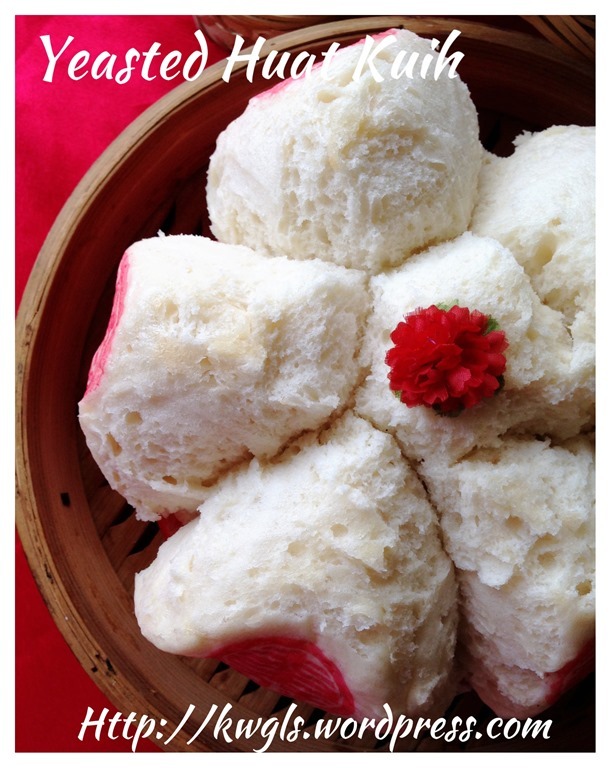 While the second proofing is done, get ready a steamer with enough water to steam the huat kuih for at least 45 minutes. 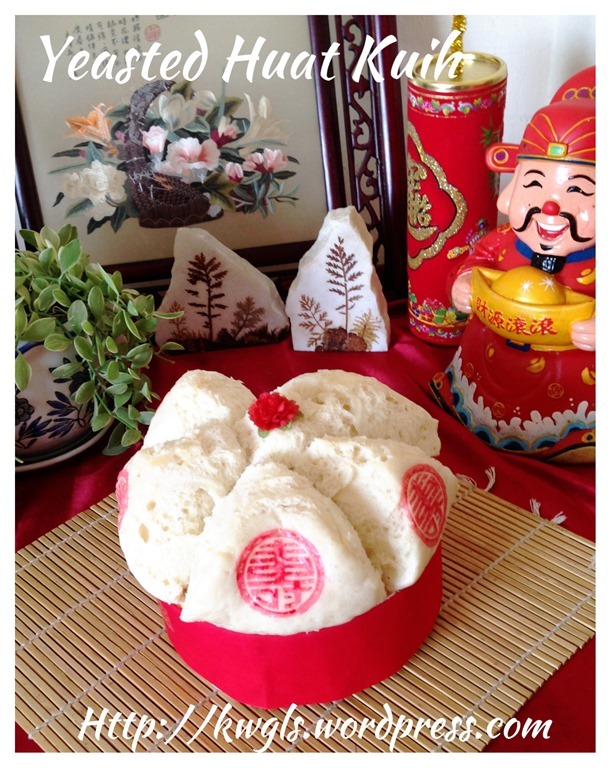 Timing may be slightly shorter if your huat kuih is of cupcake or smaller size. Bring the water to boil. Once the water is boiling, use a scissor greased with cooking oil and cut some lines into your desired pattern (it can be 3 lines, 4 lines, 5 lines or as many lines as you want). For this size, steam under high heat for at least 45 minutes or when a skewer inserted comes out clean. 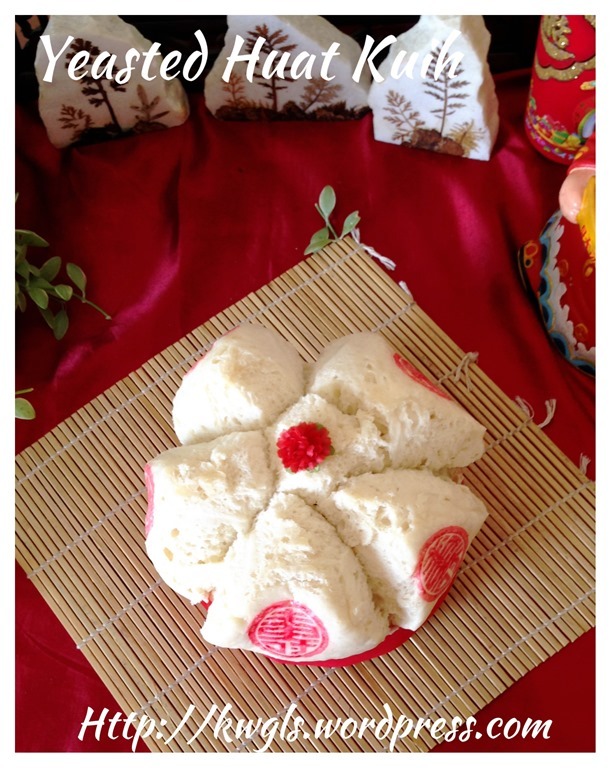 This entry was posted in Chinese and Asian Cakes and Snacks, Food Preparation Series and tagged 8, 酵母发糕, GUAI SHU SHU, guaishshu, huat kuih, kenneth goh, postaday, Yeasted huat kuih. Bookmark the permalink.